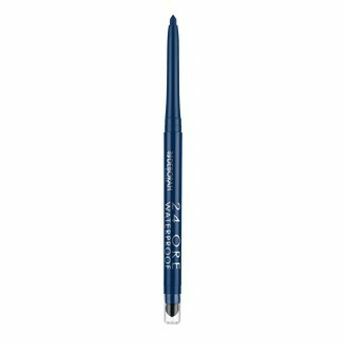 Deborah 24 Ore Waterproof Eye Pencil is formulated to leave a perfectly defined, long lasting line. The silky-soft pencil glides on effortlessly, ensuring flawless, smudge-free results. The pigment-rich formulation contains silicone resins for superb colour that stays put and resists fading all day long and well into the night. The 24Ore Waterproof Eye Pencils are also safe for contact lens wearers. Explore the entire range of Eyeliner available on Nykaa. Shop more Deborah products here.You can browse through the complete world of Deborah Eyeliner .